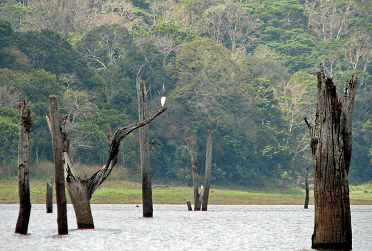 Periyar National Park complete detail – updated. Geography of Periyar National Park. Dominant flora and fauna of Periyar National Park. How to Reach Periyar National Park. During the 18th and 19th centuries, the reserve was the hunting ground of the Travancore kings. In 1899, the area was declared as a forest reserve called the Periyar Lake Reserve. 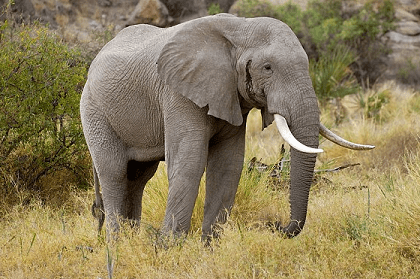 In 1992, the reserve also became a part of Project Elephant when it was launched by the Central Ministry of Environment and Forests to protect the free ranging populations of wild Asian elephants in various states of India. Formation of Periyar Foundation in the year of 2004. In the year of 2004, 148 km2 of the Goodrical Range added………. Total area of the park is about 350 Km2. It was declared as Periyar National Park in the year of 1982. In past, a dam named Mullaperiyar was constructed across the west flowing river Periyar. The Park is famous for its unique and diverse wildlife and bird species. The rich wildlife includes Elephants, Tiger, Sambars, Gaur, Leopard, Wild dog, Barking deer, Mouse deer, Monitor lizards, and a variety of birds and reptile species. Periyar National Park is a beautiful place, located in the Idukki & Quilon districts of the state of Kerala. 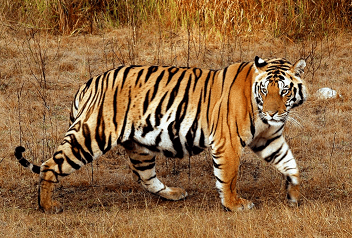 Periyar is one of the 27 tiger reserves in India. The park is often called the Periyar Wildlife Sanctuary or Thekkady. The park is located high in the Cardamom hills and Pandalam hills of the southern Western Ghats along the border with Tamil Nadu. The park is notable as an elephant reserve and a tiger reserve. The protected area covers an area of about 925 km2. In the year of 1982, it was declared as Periyar National Park. Total area of the park is about 350 Km2. The park is being adorned with a picturesque lake at the heart of the sanctuary which is an artificial 100 years old lake at Thekkady and is basically known for its wild elephants and thickly established Western Ghats forests. Many of the intense valleys of Periyar contain tropical evergreen forest with extremely thick tree cover with hardly any sun-rays to get penetrated. These trees are fully grown at the amazing heights of up to 100-140 feet. The Park is famous for its unique and diverse wildlife and bird species. 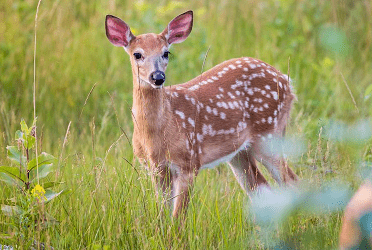 The rich wildlife includes Elephants, Tiger, Sambars, Gaur, Leopard, Wild dog, Barking deer, Mouse deer, Monitor lizards and a variety of birds and reptile species. In past, a dam named Mullaperiyar was constructed across the west flowing river Periyar. As a result, it created an artificial lake in the area which today stands at the center of the sanctuary. The construction of Mullaperiyar Dam in the year 1895. During the 18th and 19th centuries, the reserve was the hunting ground of the Travancore kings. In 1899, the area was declared as a forest reserve called the Periyar Lake Reserve. It was declared as a Game Reserve (Nellikkampatty Game Sanctuary) to conserve the biodiversity of the area and stop the encroachment of tea plantations, by the Maharaja of Travancore, Chithira Thirunal Balarama Varma in the year of 1934. In the year of 1950, it was consolidated as a wildlife sanctuary (Periyar Wildlife Sanctuary). In 1978, the sanctuary was included in the Central Government initiative to be known as the Project Tiger and was renamed as Periyar Tiger Reserve. By the year 1996, India Eco-Development Project too was initiated in the reserve to preserve the ecosystem. The sanctuary was segregated into Periyar East and Periyar West by the year 2001. Formation of Periyar Foundation in the year of 2004. In the year of 2004, 148 km2 of the Goodrical Range added to the reserve. 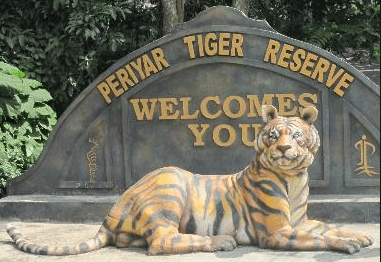 The Union Ministry of Environment and Forests and National Tiger Conservation Authority to give a “very good” work assessment report to the faculty of Periyar Tiger Reserve in the year 2011. Periyar National Park is a beautiful place, located in the Pathanamthitta and Idukki districts of the state of Kerala. The park is located high in the Cardamom hills and Pandalam hills of the southern Western Ghats along the border with Tamil Nadu. Periyar National Park lies in the middle of a mountainous area of the Cardamom hills. In the north and the east it is bounded by mountain ridges of over 1,700 m altitude and toward the west it expands into a 1,200 metres high plateau. The highest peak is the 2,019 m high Kottamalai. The topography consists of steep and rolling hills which are thickly wooded. The reservoir and the Periyar River meander around the contours of the wooded hills, providing a permanent source of water for the local wildlife. 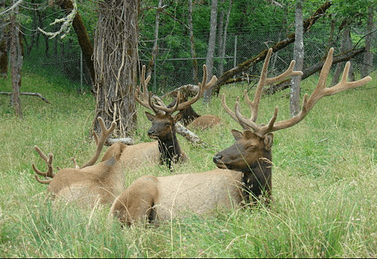 The park consists of tropical evergreen, semi- evergreen and moist deciduous forests. Teak, Banyan, Sacred fig, Royal poinciana, Kino, Rosewood, Sandalwood, Jacarandas, Mangoes, Jamun, Tamarind, Bamboos, Gloriosa lily etc. 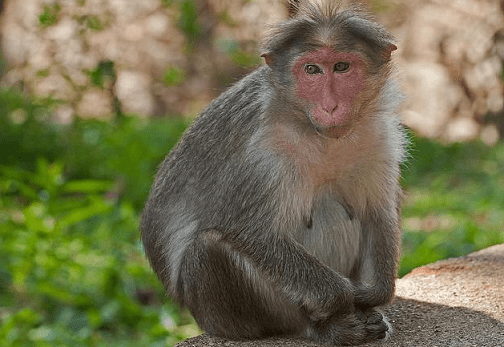 Mammals – Tiger, Gaur, Elephant, Sambar, Mouse Deer, Barking Deer, Indian Wild Dog, Wild pig, Indian giant squirrel, Travancore flying squirrel, Jungle cat, Sloth bear, Nilgiri tahr, Lion tailed macaque, Nilgiri langur, Nilgiri marten, Gee’s Golden Langur, Common Langur, Bonnet Macaque etc. Birds – Malabar grey Hornbill, Racket-tailed Drongos, Kingfishers, Darters, Cormorants, Nilgiri wood pigeon, Blue winged parakeet, Nilgiri flycatcher, White bellied blue flycatcher, Great hornbill, Brahminy kite, Nilgiri thrush etc. Reptiles – Monitor Lizard, Python, King cobra, Malabar pit viper, Striped coral snake etc. Periyar National Park remains open for the most part of the year, but the best time of the year to visit the Periyar National Park is between the months of October to June. By Air – Nearest airport is Madurai airport, about 140 Km from the Periyar National Park. Madurai airport is well connected by road to Periyar National Park. By Rail – Nearest railway station is Kottayam railway station, about 114 Km from the Periyar National Park. Kottayam railway station is well connected by road to Periyar National Park. By Road – Periyar National Park is well connected to Major Cities and Places by road network. There are a number of government and privately operated vehicles that go to Periyar National Park at frequent intervals. The best accommodations are available at Periyar National Park. 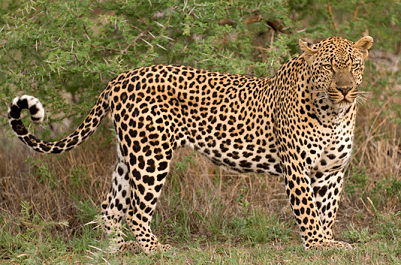 All the necessary requirements are fulfilled in wildlife resorts in Periyar. The Kerala Tourism Development Corporation runs three popular hotels within the boundaries of the park.